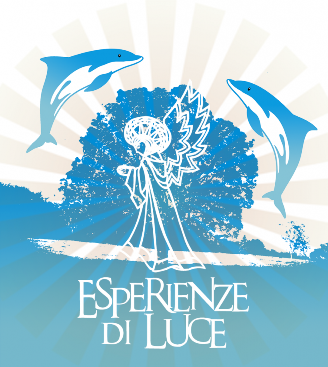 Experiences of Light offers a two-year channeling training course using the method devised by Paola Pierpaoli, amply explained in her books and in this same site. In this method, channeling is understood as the ability to communicate with the whole world of invisible light (Angels, Archangels, Higher Self, Spirit Guides, Masters, devas of nature, the deceased) through the medium of the Angel Guide or main Spirit Guide. In this course, in addition to channeling, which is dealt with in an experiential way, great attention is dedicated to the care of the psyche and the body, and to building a healthy relationship with the environment in which the participants live and work. In fact to be a good channeler is connected with a continuous work on oneself to attain the emotional health fundamental for communication with the world of invisible light. Paola Pierpaoli personally teaches channeling, while the other above mentioned disciplines are taught by specialized teachers. The course is aimed at anyone who wants to practice as a channeler professionally and for those who want to embark on a journey of personal growth, in the knowledge that the universe is immensely richer than what we normally experience through the five senses, or we catalog with the mind. To facilitate the participants, who possibly come from different cities, part of the training will take place via video conference. A closed group will also be created to exchange experiences online with the teacher’s supervision. This will allow just two meetings during each year of the course, with significant savings in costs for participants. The two annual meetings will be held in May and September from Friday afternoon to Sunday afternoon. It will be possible to join the course once started, at the discretion of the course coordinator. At the end of the second year a certificate of attendance will be given. At the end of the second year, an optional third year course is planned, in which participants will be authorised to conduct karmic cleansing sessions.